The brilliantly original new novel from Michael Chabon, author of 'The Adventures of Kavalier & Clay' and 'The Final Solution'. What if, as Franklin Roosevelt once proposed, Alaska -- and not Israel -- had become the homeland for the Jews after World War II? In Michael Chabon's Yiddish-speaking 'Alyeska', Orthodox gangs in side-curls and knee breeches roam the streets of Sitka, where Detective Meyer Landsman discovers the corpse of a heroin-addled chess prodigy in the flophouse Meyer calls home. Marionette strings stretch back to the hands of charismatic Rebbe Gold, leader of a sect that seems to have drawn its mission statement from the Cosa Nostra -- but behind Rebbe looms an even larger shadow. Despite sensible protests from Berko, his half-Tlingit, half-Jewish partner, Meyer is determined to unsnarl the meaning behind the murder. Even if that means surrendering his badge and his dignity to the chief of Sitka's homicide unit -- also known as his fearsome ex-wife, Bina. 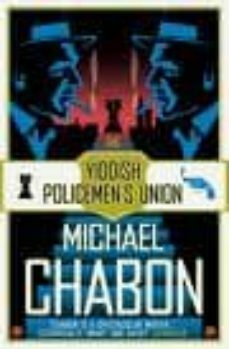 'The Yiddish Policemen's Union' interweaves a homage to the stylish menace of 1940s film noir with a bittersweet fable of identity, home and faith. It is a novel of colossal ambition and heart from one of the most important and beloved writers working today.